How Do I Register My New Drone? As of December 2017, new drone registration is once again required if you live in the United States and own a drone weighing between 0.55 and 55 pounds. It's an easy process that takes less than five minutes, costs $5.00, and is good for three years. 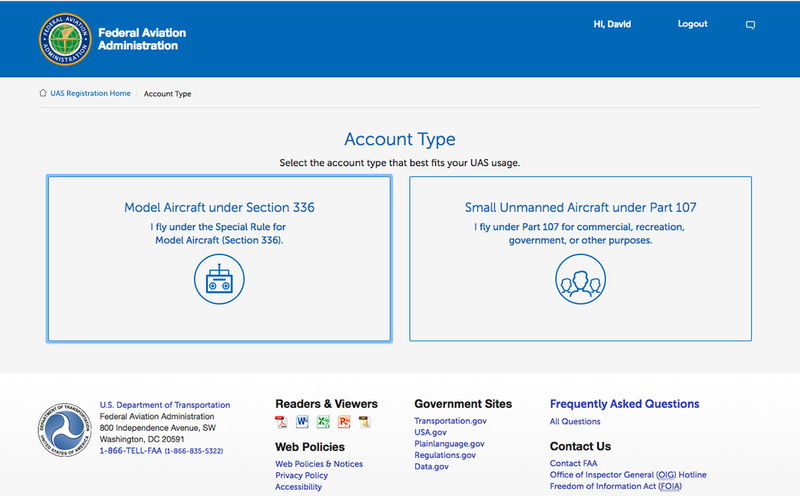 If you do a Google search for drone registration, the top few results will be ads for places that are not connected with the government and will charge you a lot more than the $5.00 FAA fee. When you get to the page shown below, enter your email and create a password. You will get a confirmation email shortly. 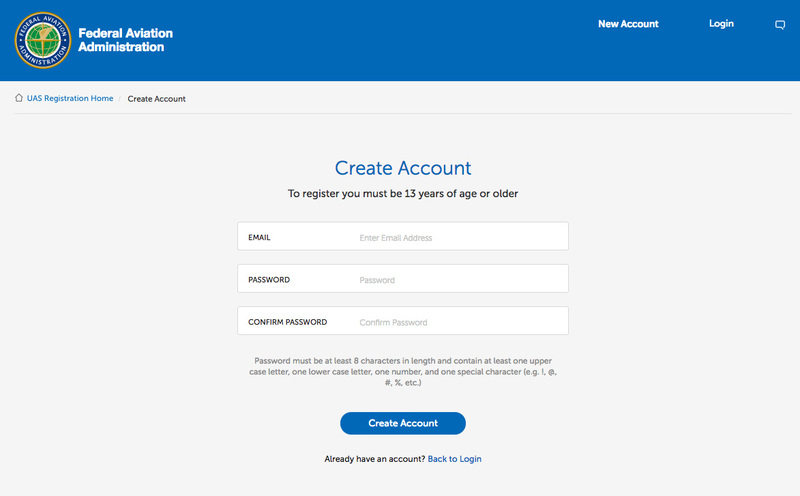 Click on the link in your confirmation email and log in to your new account and you will see the page shown below. If you are flying recreationally, choose the Section 336 option. If you are flying your drone commercially, select Part 107. On the next screen, fill out the profile information and agree to the safety guidelines. Enter your credit card information. If you are flying recreationally, one $5.00 registration fee will cover all your drones for three years. If you fly commercially, the fee is $5.00 per drone and is also good for three years. As soon as everything goes through you will get a certificate with your registration number. Use a label or a Sharpie and put this number on your drone. You're now registered and legal to fly.